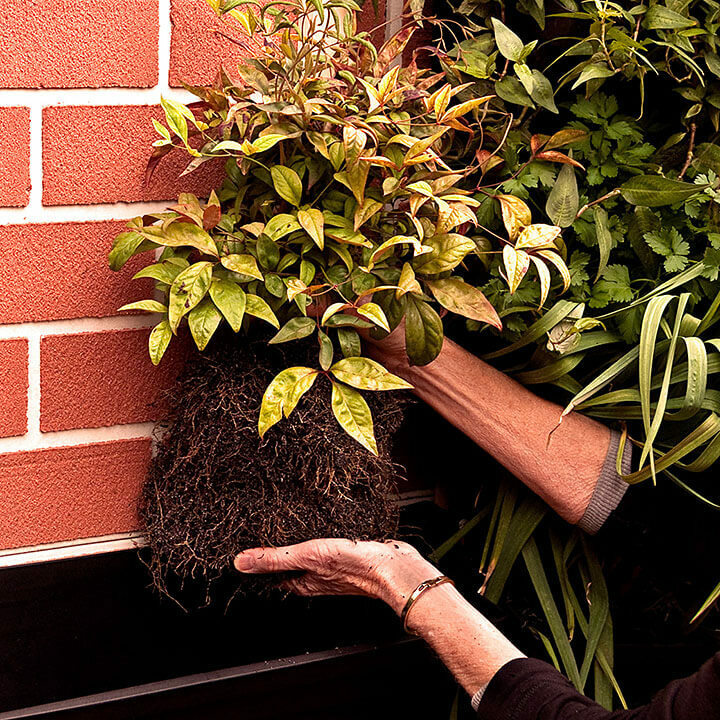 Follow our easy steps to creating your own Vertical Garden with supplies available from any home improvement store. Our Vertical Garden is so easy to install, anyone can do it. There's no expensive, specialised clips or bags, just common supplies; a drill and a screwdriver. Watch our video for and follow our simple step by step guide below. Follow these installation steps and you'll have a beautiful green wall in no time. 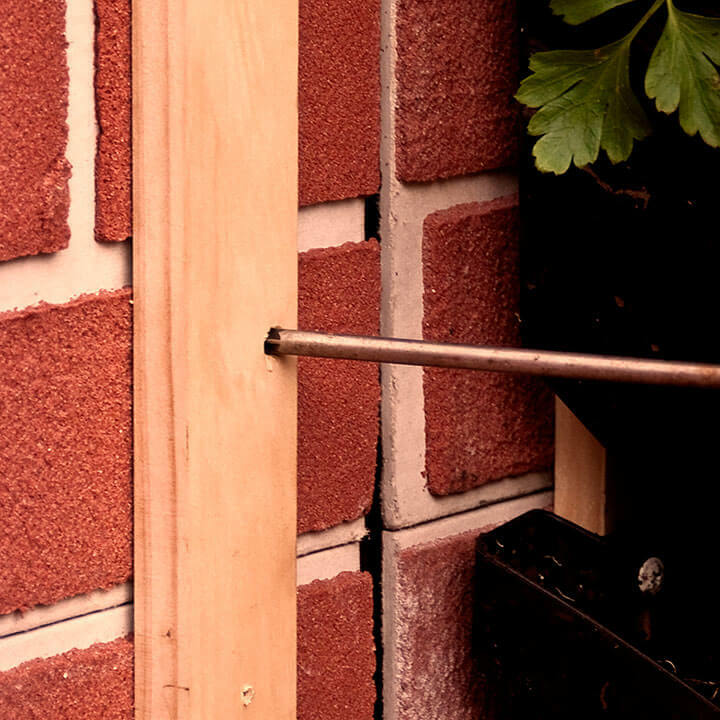 Use appropriate fixtures to securely fix wood upright to a load bearing wall or fence. 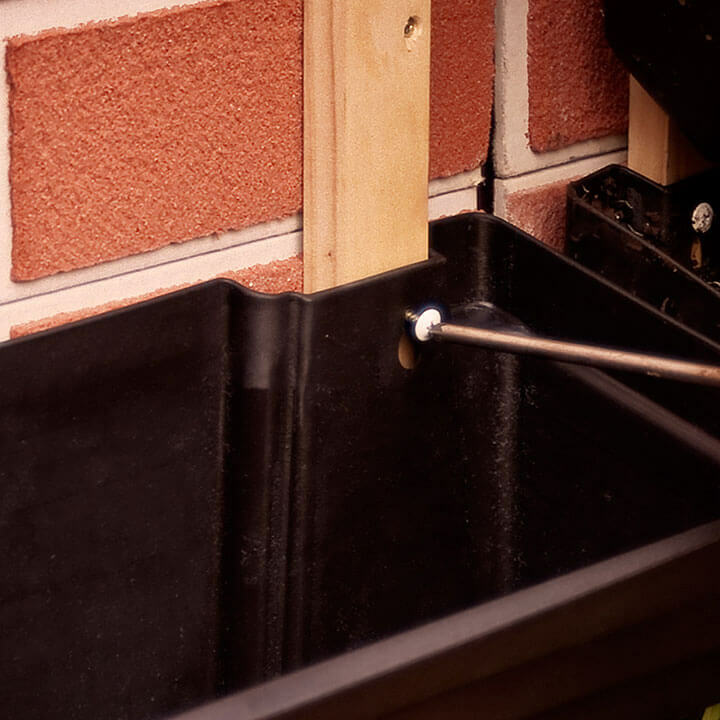 Attach Vertical Garden to uprights using 8 gauge screws, position using keyholes on each unit. Position modules at least 2” apart increase for taller plant varieties. Bury root ball in Vertical Garden module using high nutrient potting mix as you would normally. Water the top row only. 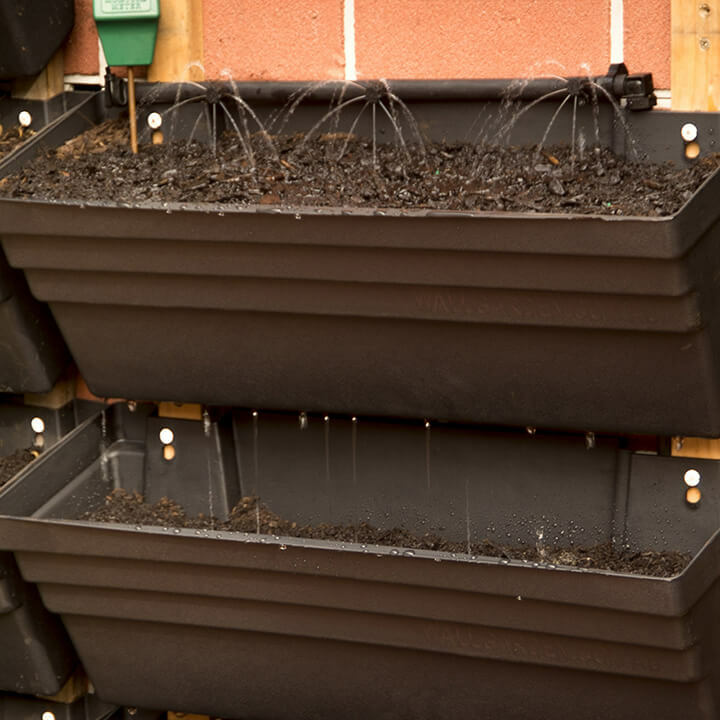 Water by hand or fit a low pressure ½” poly irrigation system to the top row of the Vertical Garden modules. Water passes through from top to bottom. Each module is watered, retaining moisture after watering, ensuring even irrigation top to bottom.